The flat is situated less than two blocks from the beach and is within walking distance of shops and restaurants. 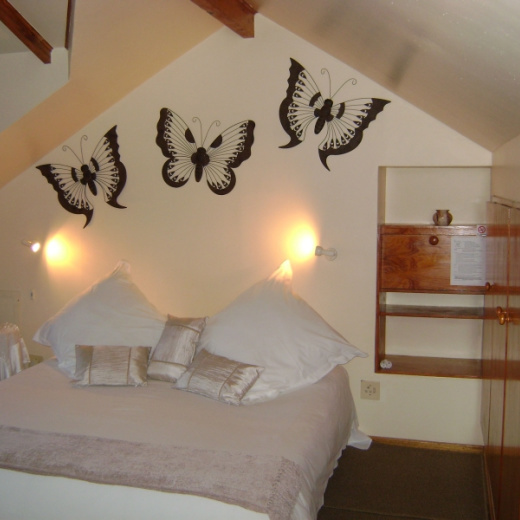 The accommodation offered is a fully equipped unit on two levels with a private entrance. Spacious room with king size bed and a spa bath in the bedroom. 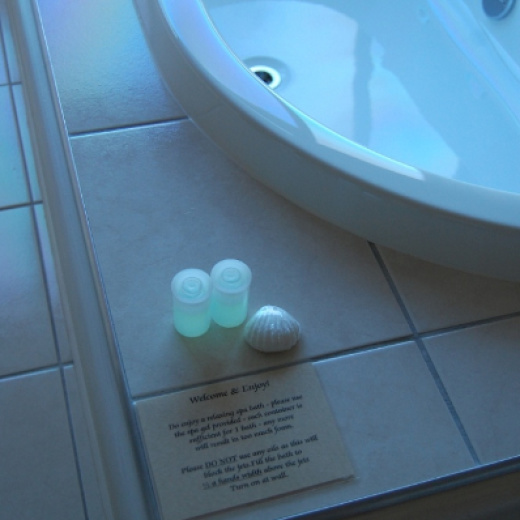 All linen provided including bath towels – fresh towels every third day. There is a Hairdryer and Iron available on request. There are two lounge chairs with side tables, a couch and television. 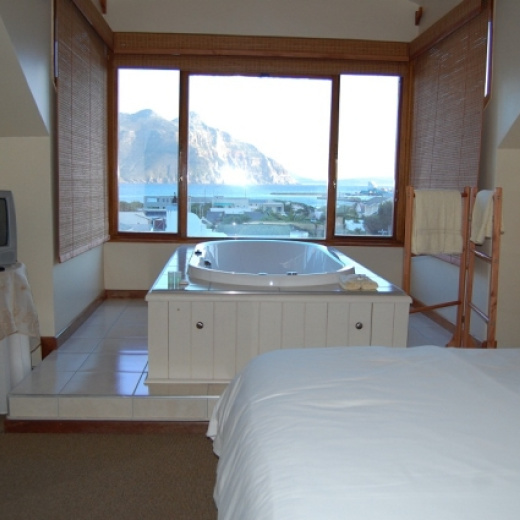 All the upstairs rooms have sweeping views of Hout Bay Beach, Chapman’s Peak and out to sea across the bay to Kommetjie. 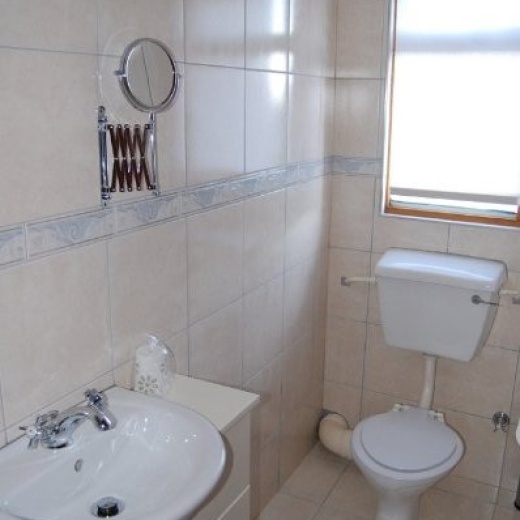 The bathroom is en suite with shower, toilet and hand basi. Fully equipped kitchen with breakfast nook: fridge/freezer, 2 plate electric stove with oven, 2 plate automatic gas hob, microwave as well as all necessary kitchen appliances, utensils, crockery, glassware and cutlery. 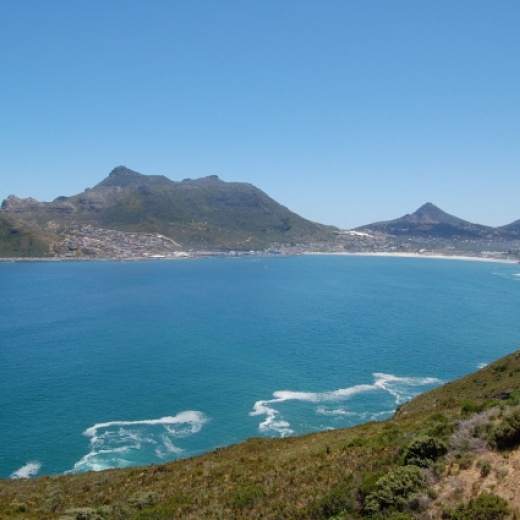 Hout Bay is 18km from Cape Town, it takes less than 30 minutes along a beautiful scenic route to the V&A Waterfront complex where you can take a boat trip to the historic Robben Island.